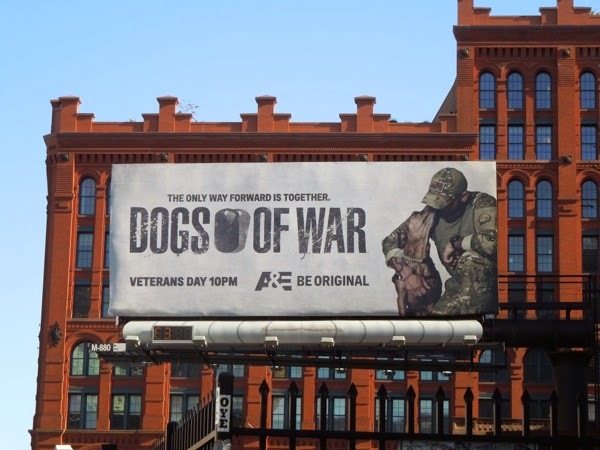 This Veterans Day, the A&E Network is honouring the animals that help the armed forces after the battles are over in their new series, Dogs of War. 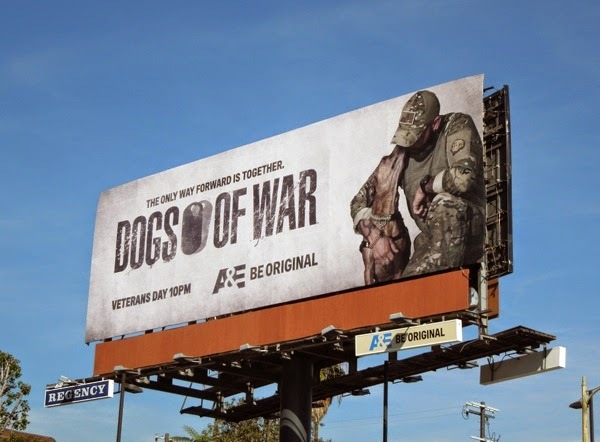 This new docu-series follows the stories of veterans who have returned from war with post-traumatic stress disorder and are paired with adopted shelter dogs to help with their recovery and to adjust with life after combat. 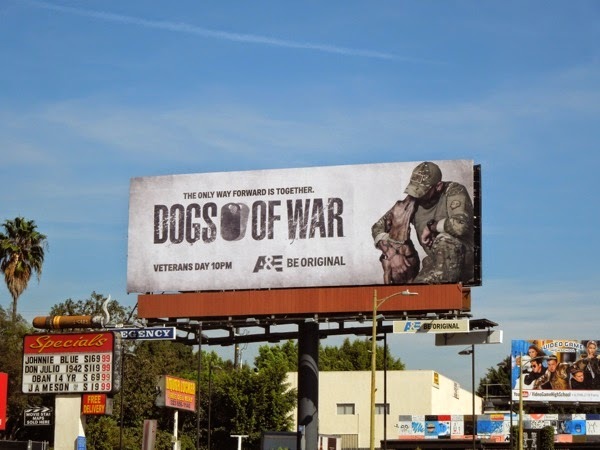 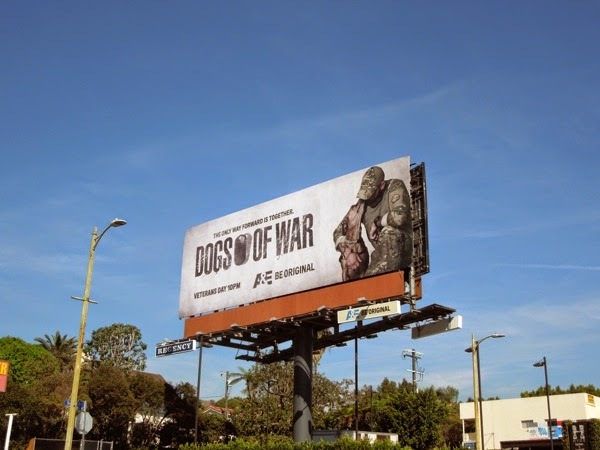 This heartening soldier and dog ad creative as spied along L.A.'s Sunset Boulevard on October 22 and at Houston Street and Crosby Street in New York City on November 3, 2014. 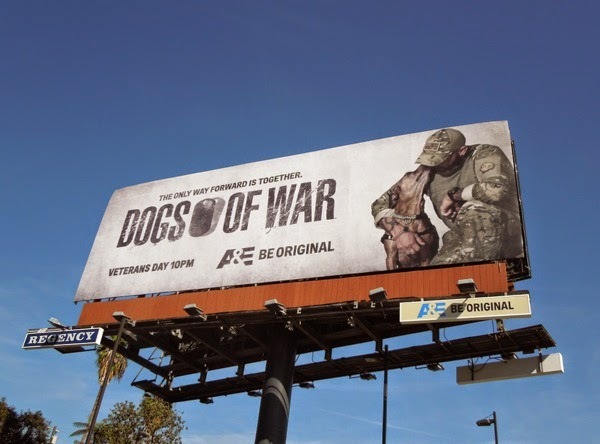 With the love, loyalty and companionship they are able to provide, there's a reason why they are called man's best friend.